Hehe cute little professional having a working lunch? Checking the Silent Sunday entries? Fantastic picture. hehehe! What a cute photo! Someone's having a fabulous time, kids are so good at using technology these days aren't they? 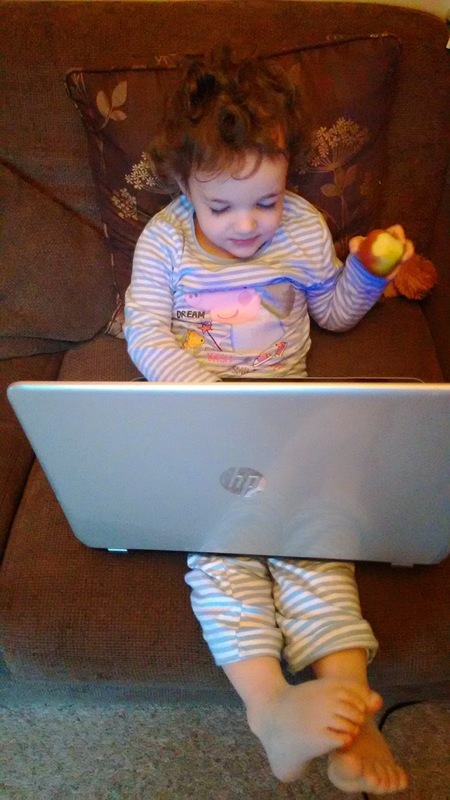 What a big laptop for little legs! She looks like she's having fun! Like Mummy like daughter, eh?! Love it! Start 'em young!